Ever looked at a shows extras or studio audience and thought, dang, I should do that! I have been on a couple shows and I think its a really fun thing to do. Its far simpler than even I realized. So here is my quick guide to get YOU on tv. There are two ways I have used to get on TV. One requires some paperwork, the other patience. Being a studio audience member is super easy. Reserve your tickets and you're good to go! Clothing: No stripes, jewel tones are best, they may ask you to remove or change articles of clothing depending on the time of year the episode will air. I think its so funny that I'm ok with talking about this now. I was so embarrassed at the time I went to my first taping of The Chew. 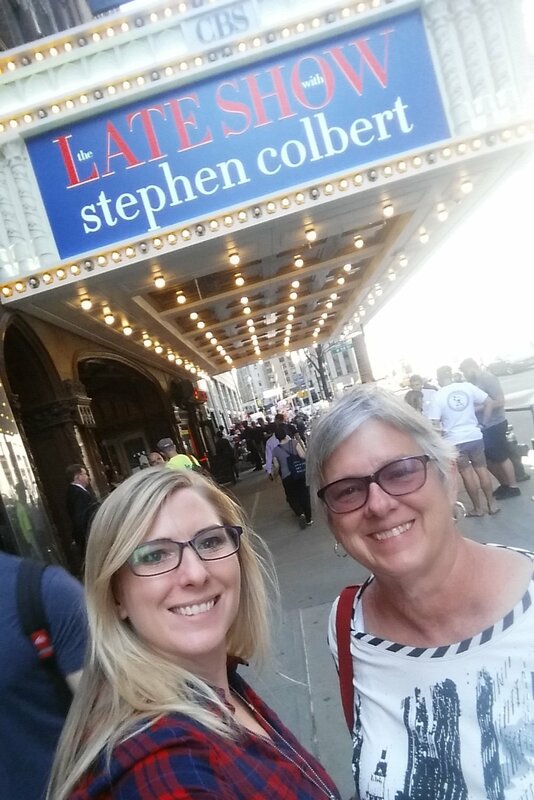 I just thought it was kinda silly to go to a taping of a daytime TV show. But Im so glad I went. I have watching some of the cast members for sometime so meeting some of them is SO cool. Oh and I did get to meet Paula Deen, she's so damn nice in person but I know, deep down she's racist. What you don't know is that some shows have a secret marking that designates if you can be on camera or not! The colored marking putting me in the "on camera" group. Yes, its true! Or at least at ABC's The Chew its true. Upon checkin to the show you present your ID, they then pull a white ticket (or take yours), look at you, then mark your ticket with a colored highlighter. The color you are marked with will put you in a group that is "on camera" and one that is mostly not on camera. Its a weird feeling to be grouped by your attractiveness BUT this is how they do it. So if you want to be on camera make sure you look your best. Oh, I should mention that, when you are in a studio audience they need to shoot b-reel of the audience laughing or clapping. They achieve this before the show is shot by asking you to laugh or clap continuously for 30 seconds. They then shoot all around the room at people in the audience to get enough material they can splice in between shots later. ALSO, be prepared to look stupid. They will make you stand and dance. Its incredibly weird. 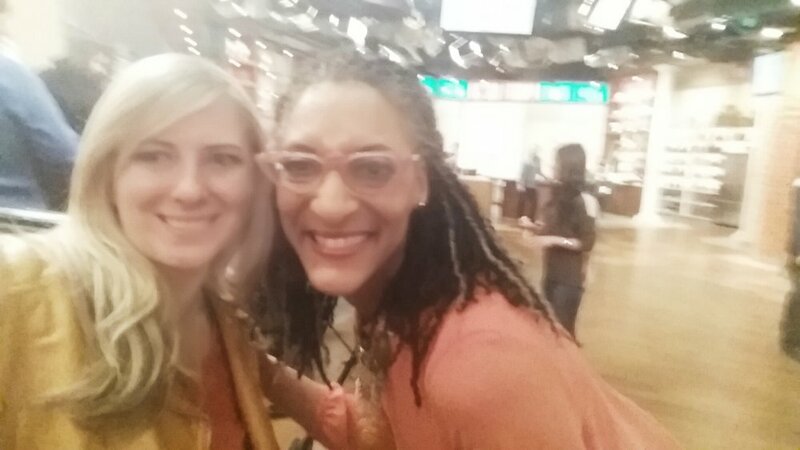 At the "tasting table" in 2015 on ABC's The Chew. This one is a bit harder to get into, you need to know what day the tickets will be listed online and be ready to click when the time is right! There is also a TON of waiting in line. Fortunately on the day I went my mom waited in line most of the way then I came by and joined her after work. We were not on camera during this taping but they have changed the show now to where the audience is shown a lot more. There are numerous shows you can try to get tickets for, so if you're into it get on it! 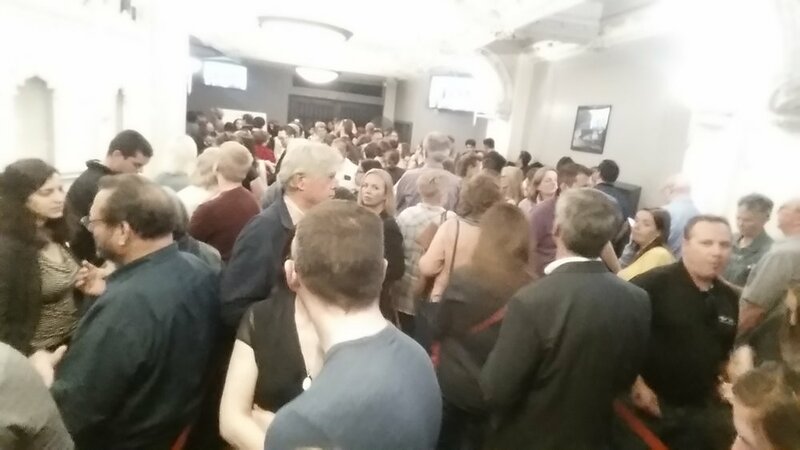 There is a lot of work for extras in NYC. Time commitment: 1.5hrs to set up with Central Casting. When you get a "gig" its usually the full day. Meet a celeb: You are not permitted to talk to the actors but you can smile at them. Clothing: The casting person will tell you what the scene is and ask that you bring several wardrobe options with you. In order to be added to the list of extras you will need to register with Central Casting. You will be asked to fill out some forms, I-9 and more, and have your picture taken. The registration process has changed a bit since I did it. When I registered I simply went to the office on the day they were accepting applications for non-union women. Now they require you set an appointment to come in. That calendar can be found on their website. The cool thing about central casting is that you can find work in 2 ways. You can monitor their social media which has the latest work OR you can opt into their text system. I love the text system. Presumably they have filtered the central casting database and messaged people that fit a profile they need for the shot (if any). Thats it! Now you're all set up to be an extra! Sometime last year my mom was visiting me in NYC and we walked by one of the signs that indicate that a show or movie will be shot in the area. They are required by the city to have a permit to shoot and indicate to the public that the area might be blocked off for this. Mom: "You should try to get on Blue Bloods"
Me: "Me? Im not an actor"
Mom: "You can be an extra, I have a friend that does it. Shes been on Orange is the New Black"
And with that, the seed was planted. Ironically only a week after registering with central casting I got a call from a producer asking if I could do the show within the next week. Me in a scene with Donnie Whalberg on Blue Bloods. I headed to set with my bag of clothing and a ton of excitement. Once you get to set you will see signs for "staging" - this is where you need to go. What I learned about being an extra is bring things to do. A book, a computer, something to keep you occupied because most of the time you will be standing around. BUT there is usually a food tent with some decent coffee. The other extras I met were so interesting: some did it as a real job but most just did it for fun. The guy walking next to me in the scene I'm in (below) worked at a neurology lab! Turned out he loved his job but studied theatre in college and loved being an extra on his off days. If you saw the actual episode (S8 E18) you probably didn't see me. I was only in a couple frames in the background. Here, I've slowed it down for you. Despite my short screen time, I did it! I got on a major prime time show with a big name actor! Im pretty happy with that! I hope this helps anyone thinking about trying to be on a show. Its been very fun for me and I have meet some interesting people along the way. I welcome your questions in the comments below.